Learn how to make bass that will seriously piss off your neighbours! Decades of combined experience distilled down into 23 HD video lessons! All killer, no filler. Maximum boost for your bass! 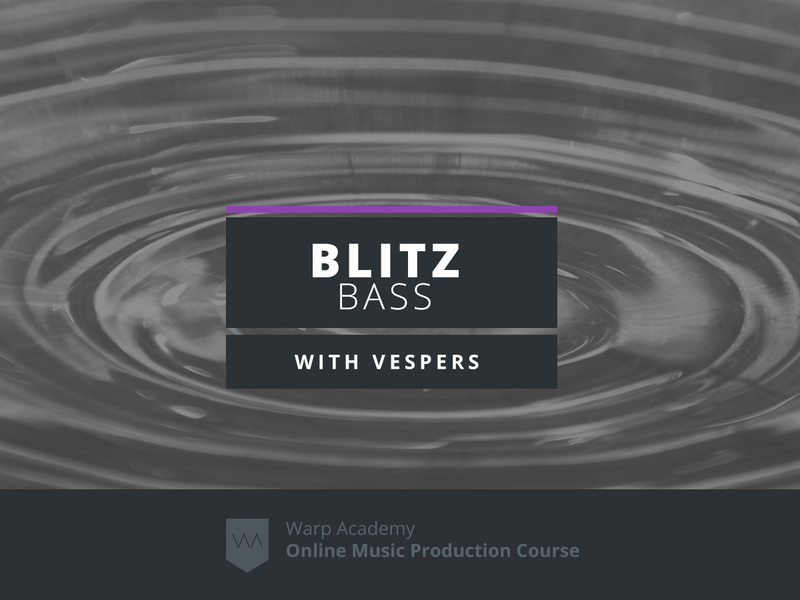 The Blitz Bass Sound Design Ultra Class is a online course developed by Vespers, Ableton Live Certified Trainer and founder of WarpAcademy.com, that features 23 HD streaming tutorial videos that will showcase how to make bass that will seriously piss off your neighbours! 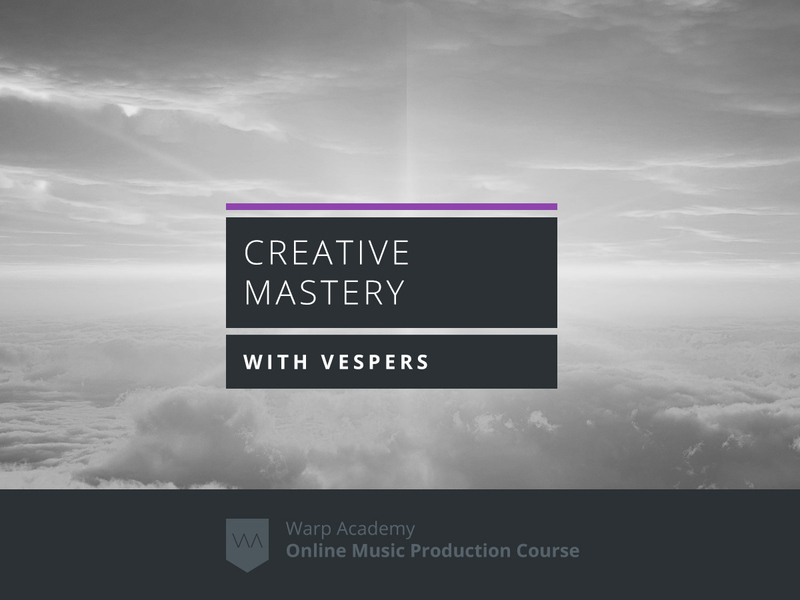 The course includes an extensive template, packed with tons of tools, presets, Racks, and samples Vespers uses in his own music. Check out the video below for a full tour of what’s included in the Blitz Bass Sound Design template. We’re going to delve deep into the art of designing phat, meticulously crafted bass. Vespers has been spending tons of time in the studio with industry insiders and some of the world’s leading sound designers, gathering knowledge and sharing info. He has condensed their secret techniques and pro-tips into this course. Decades of combined experience have been distilled down into this 6 hour, action-packed video course. All killer, no filler. Maximum boost for your bass! Some of the hot topics covered are getting awesome sub bass, getting the kick and sub to work together in the mix, getting good bass with out “muddying” up the low end, multi-band processing, creating huge stereo width, tips for getting the most out of NI Massive synth, FM synthesis, resampling, modulation to add life and movement, plus pro-tips on compression, EQing, and saturation/distortion. Are you a beginner or intermediate producer? All good. Vespers will break down each step so you can easily follow along. Vespers is known for teaching all the secrets and holding nothing back. True to this reputation, he has included tons of his custom Racks, samples, presets, and templates. We’ve also uploaded 5 full length lessons from the course that you can watch for free below! Watch step by step as Ableton Certified Trainer Vespers reveals how he makes his basses. 23 HD videos totalling 6+ hours of epic bass production training. Multi-band processing Racks, widening techniques, and bus effects to make your bass sizzle! Samples that Vespers has custom-crafted with third-party gear, all bounced to audio. Devastating 808s for your trap and hip-hop tunes. 600 MB of pristine, 24-bit samples. All key parameters are Macro’d conveniently on the front panel for easy tweakage! Student discount pricing (20-60% off) on third-party software & plugins from our partners! What skill level is this course? Intermediate to advanced. You don’t need to be a pro, but we do assume you’re familiar with the basics of Ableton Live. 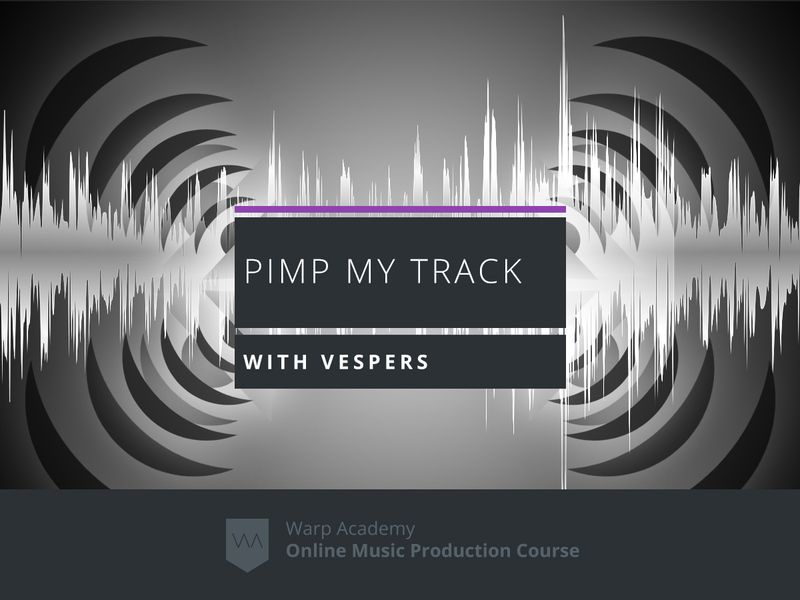 If you are a total beginner with Live, start with Ableton Live 9 Jumpstart and the Producer Bundle, and then Synthesis 101 and Audio Weapons over on our sister site Vespers.ca. Is this course applicable to my genre? In a word – yes. 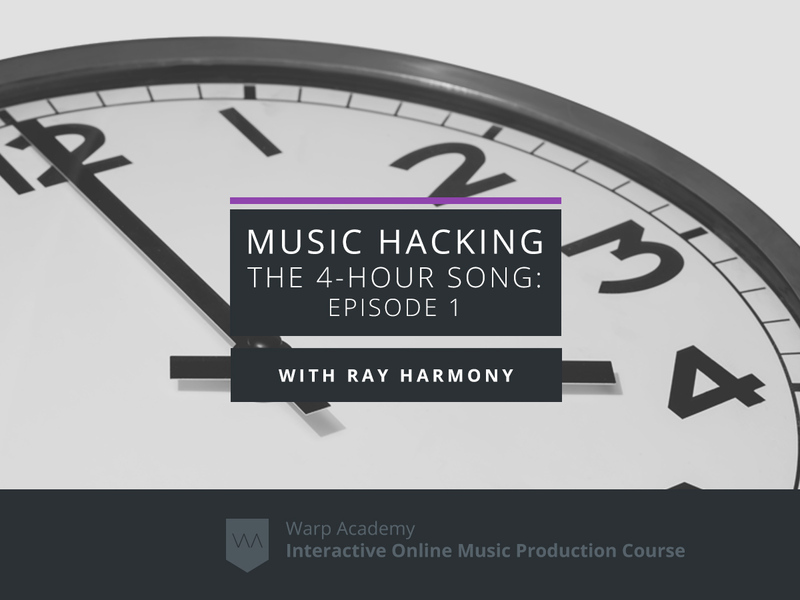 The techniques we teach can be applied universally to virtually any electronic music genre. How long can I access this course and the videos? You have lifetime access to this course. Are there downloads or templates for this course? Yes. The templates are all done in Live 9 Suite. There are additional versions for Live 9 regular that don’t include the Suite devices. For example, in the Live 9 regular version of the template, we use Simplers in an Instrument Rack instead of Sampler. What if I don’t like the course? We want you to be as excited about your course as we are. If for any reason you’re not 100% happy with it, we offer a no-hassle, no-BS, super easy 30 day satisfaction guarantee. Any time within the first 30 days after purchase we will refund your money. What version of Live do I need to use the course? This course is done in Live 9 Suite. Many of the techniques can also be done in Live 8. 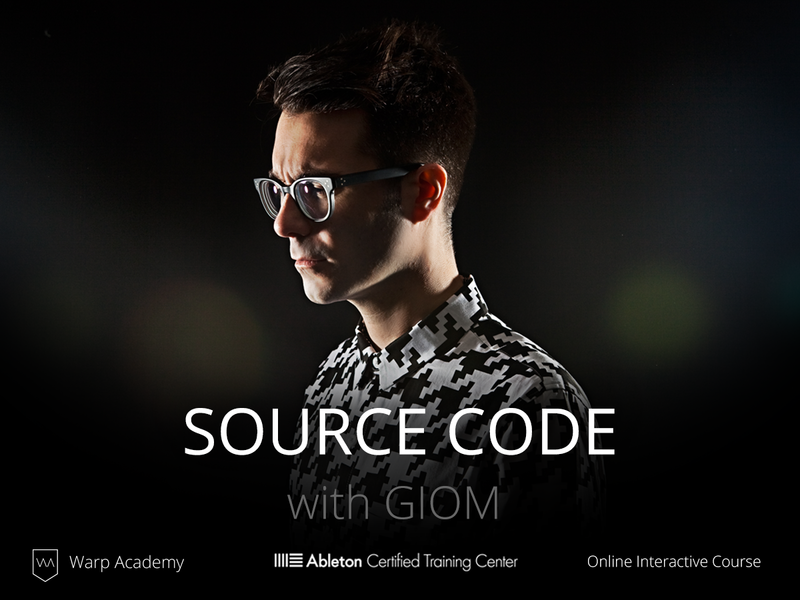 A demo of Live Suite is available at http://ableton.com, though be sure and wait until the course begins if you go this route as it will expire after 30 days. What if I don’t have Live? This is course is designed to teach concepts, and because of this, Ableton Live itself is not 100% necessary so long as you have a comparable DAW to work with. What if I have trouble viewing the streaming videos? No, but you have full access to all the video content after signing up. You can also access the videos from virtually any mobile device. Are there any system requirements? Yes, a broadband internet connection and computer are required. Minimum requirements are obviously the ability to run Ableton Live 9 so any computer with Mac OS 10.5 & Windows XP or newer should do just fine. Vespers is a beat-making robot sent back in time from the year 2502. He was banished from the future for repeat offenses of making excessively bass-heavy noises, leading to irreparable structural damage to the downtown core of Neo Tokyo. It is reported that his long-time sidekick and party companion “Go-Go”, a biogenetically enhanced fennec fox, also travelled back in time to join him in his exile.Vespers is known for his extensive and unpredictable glitches, which cause him to randomly spout tidbits of music production wizardry and secret techniques to virtually anyone who will listen. Kind of like the robot equivalent of Tourettes Syndrome. You can see hours of videos of him waxing poetic about all kinds of audio geekery on his Youtube channel. Legend has it that getting sent back in time was all part of his “master plan” to create a legion of bass worshipers who will take over the future.Although he isn’t human, he does have an puzzling affinity for jazz music and a fascinating preoccupation with saxophones. You can frequently catch him wreaking bassy-havoc and inciting funk-infused dancefloor mayhem at all kinds of music festivals and West Coast gatherings. WARNING: If there is a Vespers sighting in your area, ensure you protect yourself and your loved ones with heavy duty hearing protection and undertake standard earthquake readiness procedures.